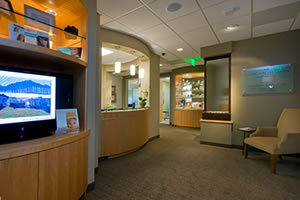 Welcome to The Plastic Surgery Center on Woodside, founded by Board Certified Plastic Surgeon Michael M. Papalian, MD. For the past 20 years, while practicing in Atherton, Palo Alto and Redwood City, Dr. Papalian has been dedicated to providing the highest quality of plastic and reconstructive surgery, skin cancer treatment, cosmetic surgery and aesthetic services on the San Francisco Bay peninsula. In 2009, Dr. Papalian founded The Plastic Surgery Center on Woodside to provide comprehensive cosmetic and reconstructive surgery services with the utmost emphasis on privacy, patient education and support, and a dedication to safety for all his patients. Dr. Papalian's guiding principles are to treat you with respect, help you make an educated decision, and provide you with the finest medical services in a professional, private and most comfortable environment. The entire staff looks forward to caring for you. 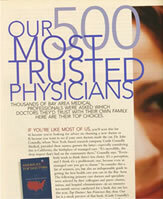 Centrally located at the intersection of Atherton, Woodside, Menlo Park and Redwood City, The Plastic Surgery Center on Woodside was developed by Dr. Papalian to provide you with exceptional cosmetic and reconstructive surgery services, and the trusted experience and expert advice that has led to Dr. Papalian being selected as one of the few plastic surgeons most trusted by other physicians in a survey of healthcare professionals in the San Francisco Bay area. Dr. Papalian designed The Plastic Surgery Center on Woodside as an elegant and private environment, providing the full spectrum of surgical and non-surgical cosmetic and reconstructive services with the emphasis on attention to every detail. Dr. Papalian has been a respected and trusted leader in the San Francisco peninsula healthcare community for the past 20 years, serving as Chairman of the Department of Surgery and twice elected by his peers to the honored position as President of the Professional Staff at Sequoia Hospital. As you consider your options for plastic surgery, you deserve to take advantage of the experience and personal attention Dr. Papalian provides to every patient. Please feel free to schedule an appointment with our office and enjoy the same benefits that over eight thousand patients have received in a professional, safe and dedicated location. During your consultation, Dr. Papalian encourages you to ask questions, be candid about your concerns and ask to view photo presentations of his work with former patients. You should compare results, in order to be certain you are making the right decisions. After your visit you will come to realize that you are in the trusted hands of an experienced surgeon and will be cared for in a highly professional, safe and private manner. Contact us today to schedule your breast augmentation in Palo Alto! Copyright © 2009 Michael M. Papalian, M.D. and MedNet Technologies, Inc. All Rights Reserved.